Matching Arne Jacobsen Swan Sofa and Arne Jacobsen Swan Table. Arne Jacobsen was highly skilled at bringing elements of nature into his designs. As the name implies, the Arne Jacobsen Swan Chair is inspired by the elegance and majestic beauty of a swan. Rather than straight lines, there are only delightful curves and contours that offer comfort and support. Our Arne Jacobsen Swan Chair is handmade from the finest quality premium leather or cashmere wool. It features a chrome steel support and brushed aluminium swivel base. There is a wide choice of colours and each can come either with piping or without. Our STIN Swan Chair furniture version does not come with a return function. Arne Jacobsen created both the Arne Jacobsen Swan Chair and the Arne Jacobsen Egg Chair in 1958 for the Royal Hotel in Copenhagen. Both chairs celebrate the curves of nature and perfectly complement one another. When seeing the chair, you can easily imagine the silhouette of a swan on water, with it's wings folded, at peace with the world. The Arne Jacobsen Swan Chair evokes a calming emotion, instantly inviting you to sit down and unwind. Care : Do not wash the chair or metal base with water. Do not place the chair in direct sunlight. Assembly : Partly assembled. Easily assembled by attaching the base to chair - 1 person needed. I bought the Swan in black leather in April 2010 around Christmas time it began to creak when you sat in it. I advertised for stin, which immediately swapped the chair to the same fine quality. Should I complain about a single thing, it's sitting height. The new chair has the same dimensions as the original, whereas the "old" chair was approximately 4 cm higher, which were better suited to me. Have purchased two swans in black leather. Fully live up to expectations and look like the originals much. good service. "I was very excited to get my swan chair, I got an email from OSKAR approx 3 weeks after ordering, that unfortunately I will get my chair 12 weeks later because of a back log during Christmas time. Chair came exactly within 12 weeks. I was very excited about the stitching. And I'm very pleased and happy, it looks like the original expensive designer chair. So why pay 10 times as much! Greetings from a happy customer who is considering what to buy next time;-). " I bought the swan in this year. It's a very nice chair that fully meets my expectations. I am very happy with your purchase. Our swan No. 2 Arrived as agreed and as agreed. Everything as expected / OK.
Everything was just OK. Received the goods within the specified time, and the product was very well packed. This product lives up to the expectations we had hoped for. Bought a black swan, swan came quickly and well packed. the leather is soft and seemed to be of good quality. quote seams, they could certainly be nicer. Swan is not a chair but sitting still good in it. Would definitely shop here again. We bought a Swan chair in black leather. The chair is in a really nice fur quality and similar "ORIGINAL" to the confusion. The chairs fully lives up to our expectations .The only thing we can say in relation to the original is that the chair is not quite as soft to sit in. Ordered this chair a couple of months ago and it arrived without any hassle. Except for the fact that it is VERY well wrapped. My wife bought two swans in red aniline leather and we are happy for them. The quality seems to be good. Super cool chair that fully live up to expectations. Will definitely buy from STIN.com a second time! I must admit that i was a little sceptic in regards to buying replica's of expensive designer furniture, but i must admit that i have been pleasantly surprised. I have now received my Swan Chair and it looks awesome. For the price paid, and considering the price for an original i think i have done the bargain of the month :-) - i will most likely use stin.com again. One thing though, it would be nice to have better tracking system of the order so we as a customer would know how far it has come etc. Just like it is possible with UPS and Fedex. I bought 2 black swans - I think the products are very fine. The color and quality of the leather living up to my expectations. Seams are dented and not so good as the originals. But could certainly be made ​​similar to that in a møblepolstrer in DK. Your service has been super nice and I have already recommended several others to buy from you. I have only praise to both the quality of the chairs and the service from stin Furniture, one has the slightest doubt about anything related to trade, there will be an immediate reply by. mail to every inquiry. It is not the last time I acted through this company and do not hesitate to recommend purchasing from stin Furniture. I am very disappointed with the seams on the Swan chair. The leather is almost rimpet with very large and visible stitching. There should be clear nærfotos of seams in your photos of the chair on your hjemmeide so people know what they get. Bought a Swan chair in black leather and fully live up to my expectations. It's really nice to finish `a and the seams and you sit really well in it. "We bought two swans. We are completely satisfied with them. Quality is okay - they are nice, but differs slightly from the original versions of the swan, as they now stand side by side with. Swans from stin is a bit heavier, and the connection between the seat and backrest are wider - presumably because the original material to the shell in the meantime has been banned. So far as I know, the new swans from Fritz Hansen, also of the new slightly heavier material. But all in all, we are completely satisfied . only if you go hunting to find differences, you discover discrepancies. People on missions, it is not - although we ask them. So you can easily complement the originals with the copies. " Nice chair and good service. Received swan by carrier 1 week after I ordered it. Very easy to assemble and the quality is top notch. Seams are as they should be and there is nothing to put on quality. Can recommend it to others. Swan respond equally to our expectations, comfort, feminine and comfortable to sit in. We've got two lovely chairs that fully meets our expectations. Amazing product quality, 100% comparable to the Original. Unfortunately I had to wait nearly 6 months. The price taken into consideration, we are absolutely satisfied with our purchase of 2 Swan chairs. Fine quality. Is happy chair, but disappointed that the back has 2 seams and is made ​​from one piece of leather as the original. Additional skin bulges out at the back, presumably because of the 2 extra seams, which means it must be positioned so that you do not see the back of the chair. "After careful consideration and the desire for many years to buy me a Swan chair, I took the decision to buy me one through stin. I researched the market and found that there was a difference in leather quality. Despite the fact that I ordered the chair just before Christmas, received I chair 15 days efter.Den lives up to my expectations and the quality top notch. Operates the left turn. only difference lies in joining the chair as in the original model has a joining with rounded kant.Jeg is now happy and very satisfied and consider my next purchase. Venligs Jeannie "
My wife bought two Swan chairs in red aniline leather, and we really like them. The quality seems to be good. the two Swan chairs which I ordered lives up to my expectations. Top design, color and the quality of the fabric is also top notch. Amazing replica Chair. The quality and the design is just outstanding. I give Stin and the chair 5 stars! An exceptionally beautiful piece of work, those who buy the real products are crazy. Was very excited to see the goods. Did not regret for a moment that I ordered from OSKAR. The chair is very satisfactory. If you tried to sit in the original, the copy is however a bit more "upright" in rygstillingen and thus a bit less comfortable. Purchased two swan chairs in black leather. I am very impressed with the survics provided very nice. The chairs have something missing in quality, but got them byttedet without problems. Have just received my chair, however, was slightly delayed compared to promised. However, it can probably be attributed to Christmas and snow. The chair's quality is super. I can not immediately see the big difference compared to orignale apart from the stitching which looks a bit different. Good chair that is not too compact in my little room. "We are very pleased with our purchase of the 2 chairs (the swan). They are very nice and fully meets our expectations. We are very happy with the way they were wrapped. However we were not so pleased with the long wait. What we were most annoyed about, and what we still think is wrong is that you have so much money standing for several months without having received the goods. But overall a very good service and we want to buy from you again. The Swan - an amazing replica chair which fully lived up to our expectations." Estimates chair to look at and sit in. Good quality and nice design. An exceptionally beautiful piece of work, those who buy the real products are crazy. Was very excited to see the goods. Did not regret for a moment that I ordered from Stin. "We are very happy with our purchase from Stin. The design is fantastic, soft leather made out of high quality. Chair looks completely like the original . The only bad thing is that the price dropped with £20 after we ordered. Too bad! "We received our 2 swans very shortly after ordering. They are SUPER nice and straight as they should be." Super nice, great quality. We are 100% satisfied with the Swan! I received swan chair bit late, but everything worked! chair was packaged very well and the quality is top notch.! throughout the proceedings stin and you have worked perfectly and I have no misgivings called by shopping with you future and can only give you my highest recommendation. many greetings erik. " Have bought 2 pieces Swan and am fully satisfied with both the finish and quality. Purchased swan in brown leather, it came 1-2 weeks later than agreed, but I had been informed. It's really nice, there is a slight color difference somewhere in the leather. But really nice, and I act like us OSKAR again. "I was very excited to get my swan chair, I got an email from Stin approx 3 weeks after ordering, that unfortunately I will get my chair 12 weeks later because of a back log during Christmas time. Chair came exactly within 12 weeks. I was very excited about the stitching. And I'm very pleased and happy, it looks like the original expensive designer chair. So why pay 10 times as much! Greetings from a happy customer who is considering what to buy next time;-). " The great Danish designer Arne Jacobsen is genius for making everything he designs seem like an impossible adventure. He is like a swan swimming in a fountain of knowledge. 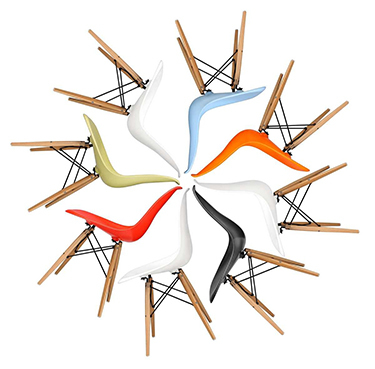 This Swan chair is exuberantly identical to the original, that it makes the world seem fresh and exciting again. Fine quality, soft black leather. However, could well imagine that the chair was a little lower. "I ordered chairs over the net, but the order gik not igennem but it made money transaktionen. Stin ringing to me the following day and told that the order was not successful, so a telephone order scheduling. In a month I spoke with five medarbejder because visas transaktionen did not occur in their registration but mit bankudtog. When the money finally was funded, I immediately fik two dejlige, perfect trust. I have forgiven, but in the period that I am sharing of sea ude my money was not a pleasant adventures. " We have in the spring got 2 swans in red cashmere wool. Both chairs meet our full expectations in both color and design. Aniline leather is a super good quality. The chairs are beautiful. Seams could have been better, but considering the price, it's a chair that fully live up to expectations. Super cool chair that fully live up to expectations. Will definitely buy from OSKAR.com a second time! We got the chair for approx. 1 md. side. It is really well done and the leather is super quality. The product fully corresponds to our expectations, good deal. I've always wanted a swan chair in leather, but have not been able to afford a " true ". A colleague gave me the link to stin and then I could finally get my chair. I'm good enough no expert, but I can not even tell the difference. And the chair is produced in one form or another factory does not matter to me. Fine service throughout. Great satisfaction with leverencen terms of packaging, timelines and product. Can be recommended." "I have received" "The Swan" "with as much enthusiasm as I received the" "golden egg" "Both chairs are in the same room and suit each other really well. Undone purchase, no tværtig courage." "Everything was perfect. Received the goods within the promised time and the products were securely packaged and no damage. Product meets the expectations as I hoped :-)"
Hi, I bought the Swan (replica) - very nice piece of furniture for the price. Everything went as it should and I am very pleased. Highly recommended. Tina"
I bought the swan in black leather and is fully satisfied with it. The chair came after 4 weeks. It is not the last time I order here.